Monet’s father owned a grocery store and wanted him to focus on the family business instead of his artwork. The term “Impressionism,” to refer to Monet’s style of painting was originally meant to be an insult. The term was coined because impressionist paintings give only an “impression,” or a vague idea of what the subject looks like. 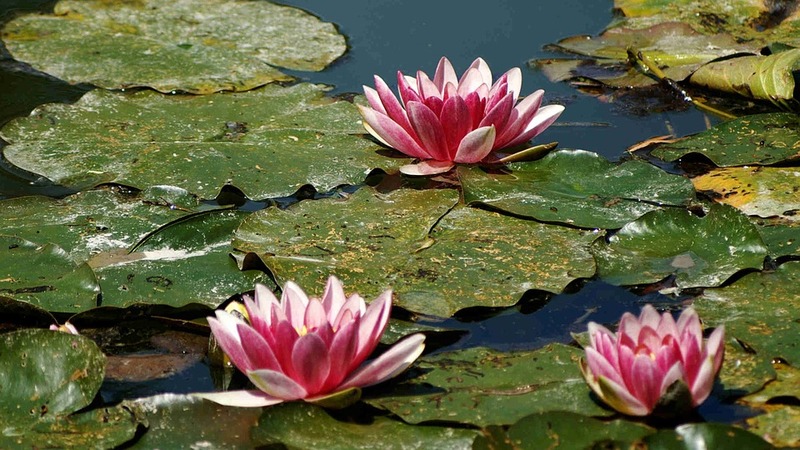 Some of the water lilies in Monet’s garden were imported from Egypt and South America. 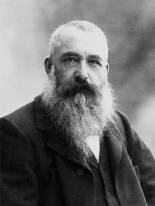 Monet became legally blind in 1922 due to cataracts, which he finally had surgery for in 1923. He continued to have vision problems even after the surgery. Check out this simple Monet-inspired artwork for little ones! 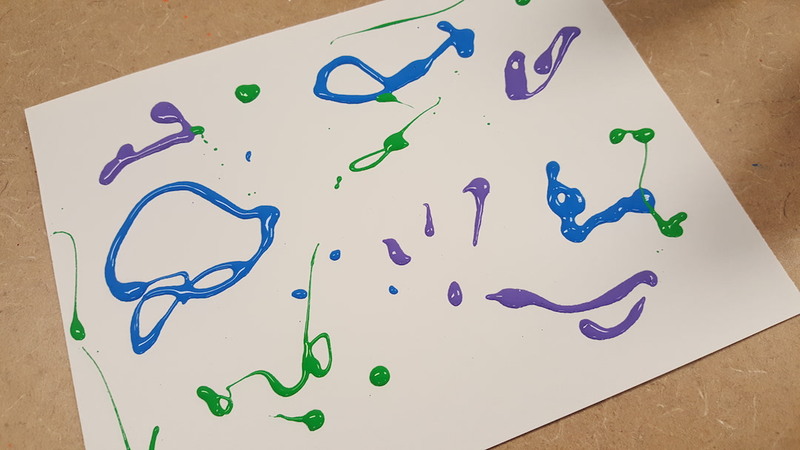 To make one, drizzle blue, purple, and green paint on a sheet of white paper. Use a plastic card to spread the paint. Then drizzle a bit of white paint on the paper and use the card to briefly spread this paint as well. Next, dip a finger in light green paint and then fingerpaint large ovals near the bottom of the page, medium ovals near the middle, and small ovals near the top. 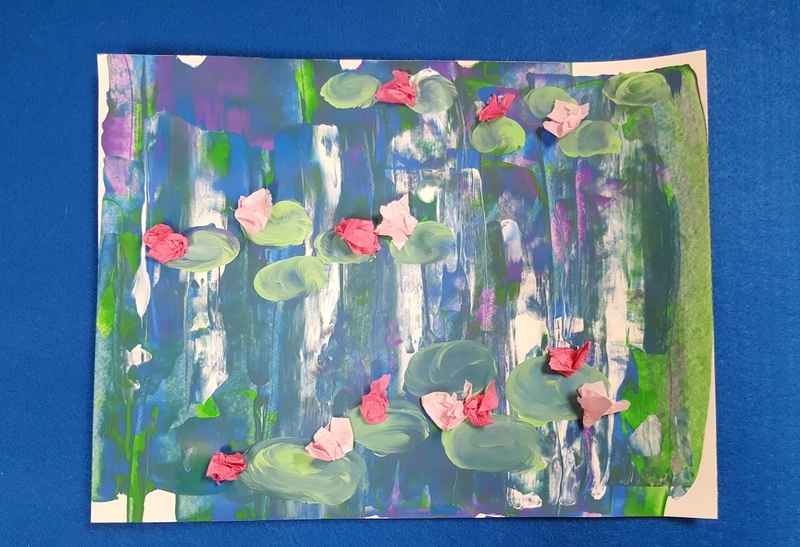 Finish the artwork by gluing crumpled pieces of tissue paper near the ovals so they appear to be water lilies next to lily pads. The finished projects would look lovely displayed in a group! Love it! Think my kids will too!